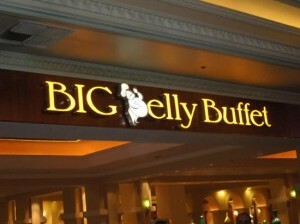 Some of my favorite food products just need to be shared with the readers of A Food Lover’s Delight. Sure, you could make your own versions of some of these items…I’m a firm believer that anything that is quality and saves you time in the kitchen is worth trying out. Probably the best invention ever made for my own kitchen. We go through a couple packages of these frozen garlic cubes every month. Each cube equals one minced garlic clove. 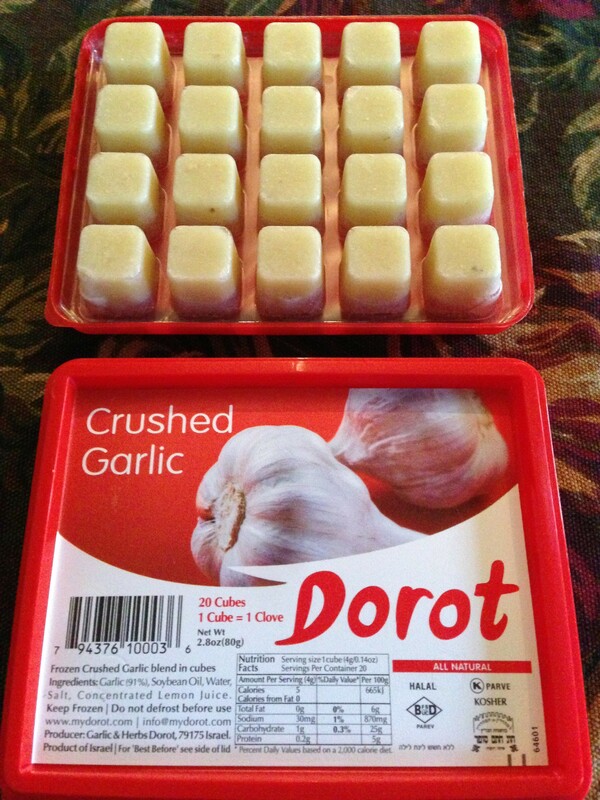 Pop a few Dorot frozen garlic cubes into your tomato sauce and you won’t have stinky garlic fingers again! 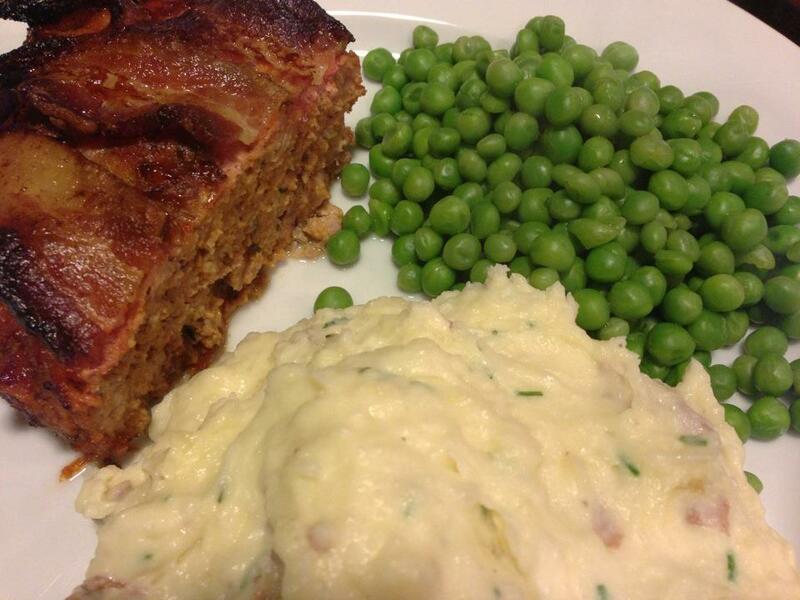 Use a couple in your next meatloaf or meatballs for a garlicky tang. I use them in salad dressings, too. Oh, and you can get them at Trader Joe’s and Whole Foods Market. 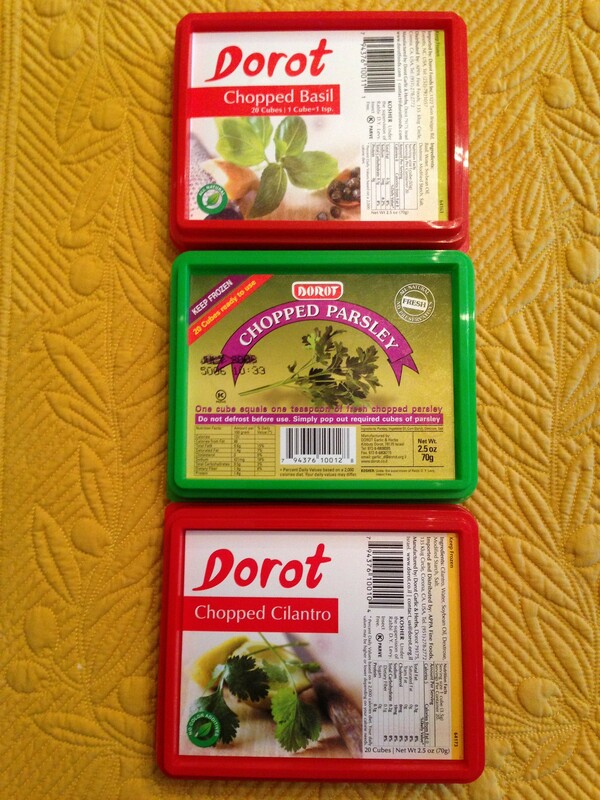 Along the same idea as the garlic cubes, Dorot makes frozen basil, cilantro and parsley cubes. I use the cilantro cubes in salsas, the basil cubes in pasta and pizza sauces, and the parsley cubes can be used in just about anything that calls for chopped parsley. These cubes mostly add flavor and won’t provide the texture of fresh herbs, so remember that. Buy them at Trader Joe’s and Whole Foods Market. 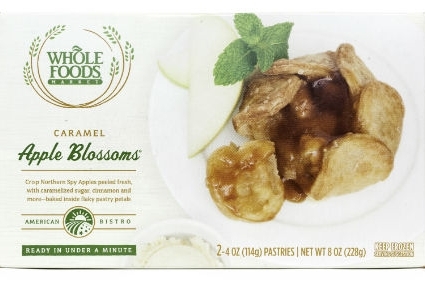 Recently, I purchased a box of Whole Foods Market’s frozen Caramel Apple Blossoms. What a huge surprise and delicious treat. Easy to make and far superior to other baked frozen desserts. Trader Joe’s has a version, too — I still like the Whole Foods’ version better. Although I generally like to make my own apple desserts, this one is just as good as I’d make myself. I think they’ve been discontinued though. 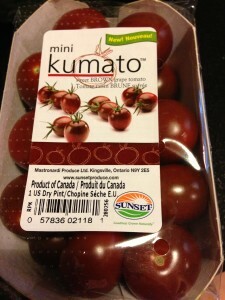 Kumato tomatoes are pretty widely available year-round. 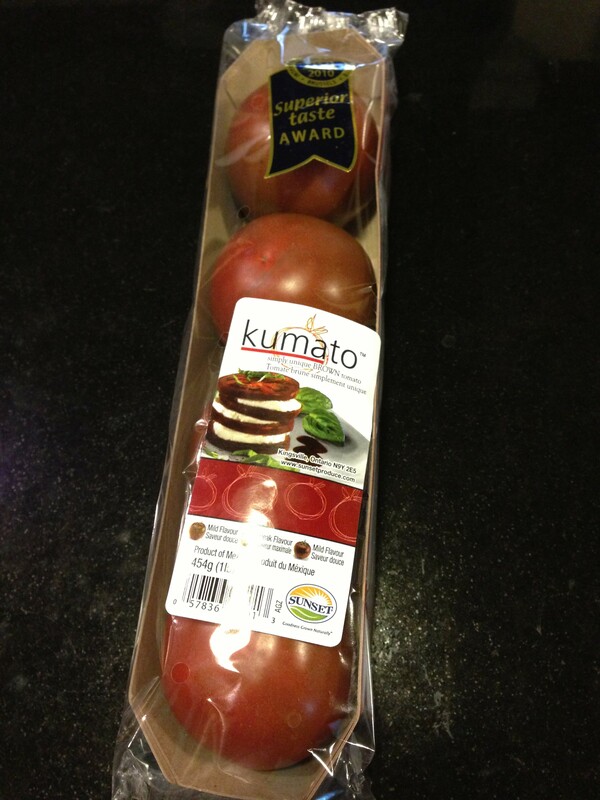 The Kumato tomato is a deep red, almost brown, tomato that is super sweet and delicious. These are my out-of-season go-to fresh tomatoes for my Insalata Caprese in the winter. I buy mine at Whole Foods Market or Giant Food and they are also carried at Trader Joe’s. Recently, I noticed baby Mini Kumatos at Whole Foods Markets! 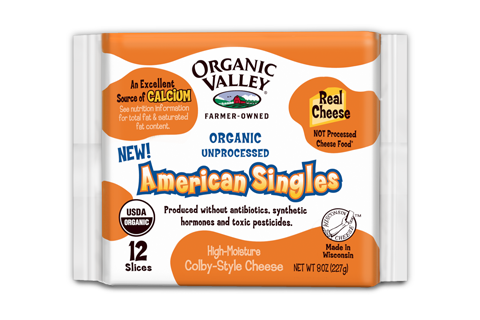 Organic Valley’s American Cheese Singles have got to be the best filling out there for a grilled cheese sandwich. It’s not at all like the usual American cheese — but more Colby-like and sooo melty and good. I’m a huge fan of Organic Valley’s products! Your local grocer should carry them. 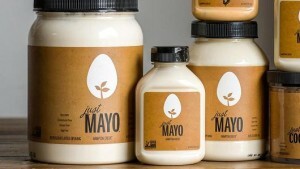 Hampton Creek produces of the best mayonnaises on the market: Just Mayo. Consistently made, thick and creamy, and tastes just what mayo should taste like. Whether or not you are a fan of canola oil, you may or may not like this product. I think it tastes good and I’ll use it when I don’t make my own mayonnaise. Purchase Just Mayo at Whole Foods Market, Target and even Walmart! I’ve loved Milka chocolate bars since I lived in Europe as a teenager. The familiar lavender wrapping is signature to a super smooth and creamy chocolate bar. 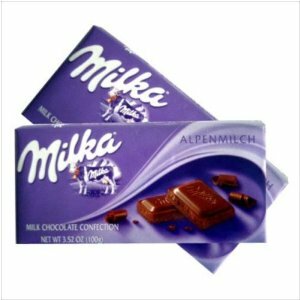 Milka wasn’t available in the US until a few years ago — now even Amazon.com and Target stores carry it. Milka is owned by Kraft Foods. I’m sure there’s something unhealthy in there somewhere. But it sooooo good! Moderation, moderation! A favorite on my salad table. 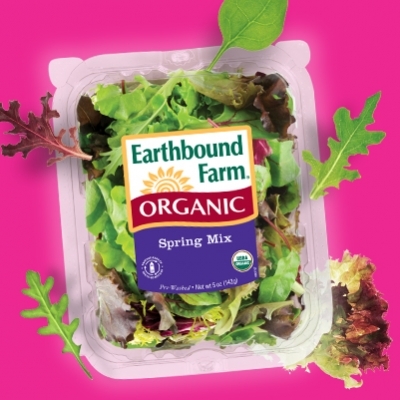 If I could grow my own salads, Earthbound Farm’s products are the example I’d follow. With the exception of too-wet greens going bad due to inappropriate pre-purchase storage, this brand is the best out there and widely available. Lately, I’ve noticed the Whole Foods Market 365 Everyday Value store brand of organic greens are pretty good quality, too. My favorite organic baby arugula is the Nature’s Promise brand at Giant Food. 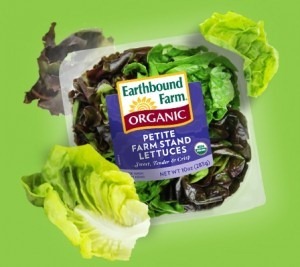 Oh how I love this Earthbound Farms product. Four small cute heads of green and/or red lettuces in each container. The lettuces vary in texture which is what I love. They taste fresh even a few days after purchase. 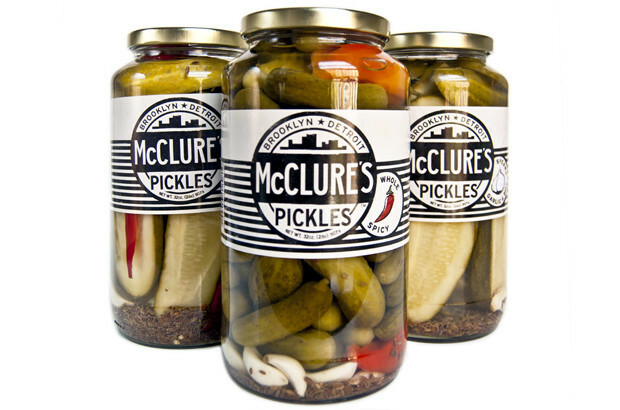 McClure’s Pickles are a great treat and grace my table more in the summer months than the rest of the year. Spicy and hot, they are a wonderful addition to a picnic or just a plate of burgers and baked beans. These pickles are available at Williams-Sonoma stores and some gourmet grocers. I buy mine at my local Whole Foods Market. My favorite sweet pickles are Bubbies Bread and Butter pickles. My mom’s parents always had bread and butter pickles in their fridge when I was growing up. I discovered Bubbies in the refrigerated case at the supermarket. Consistently sweet and crunchy and fresh-tasting, Bubbies bread and butter pickles are in my fridge year-round. Great with a grilled cheese sandwich. These pickles are usually available at your local supermarket. My local Whole Foods Market carries these pickles in the refrigerated section. 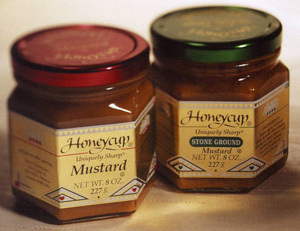 Honeycup mustard has served me well for many years. Stir a tablespoon into a half cup of Hellmanns mayo and you’ll have a fabulous honey mustard mayo that outshines all the others. My favorite condiment on a maple ham and Swiss cheese sandwich! This mustard is available widely in grocery stores and gourmet shops. 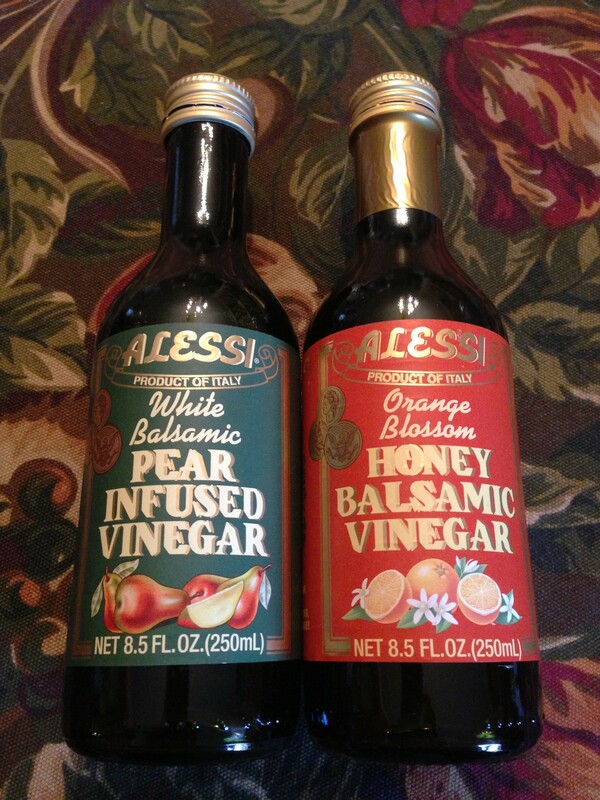 Try the vast range of Alessi flavored vinegars. My two favorites are the Pear-Infused White Balsamic and the Orange Blossom Honey Balsamic vinegars. Add to a basic oil and vinegar dressing recipe and serve with mixed greens and either sliced pear or orange sections to complement the vinegars. Find Alessi vinegars at your local grocer. Whole Foods Market’s 365 brands are quality and great for the dollar value. 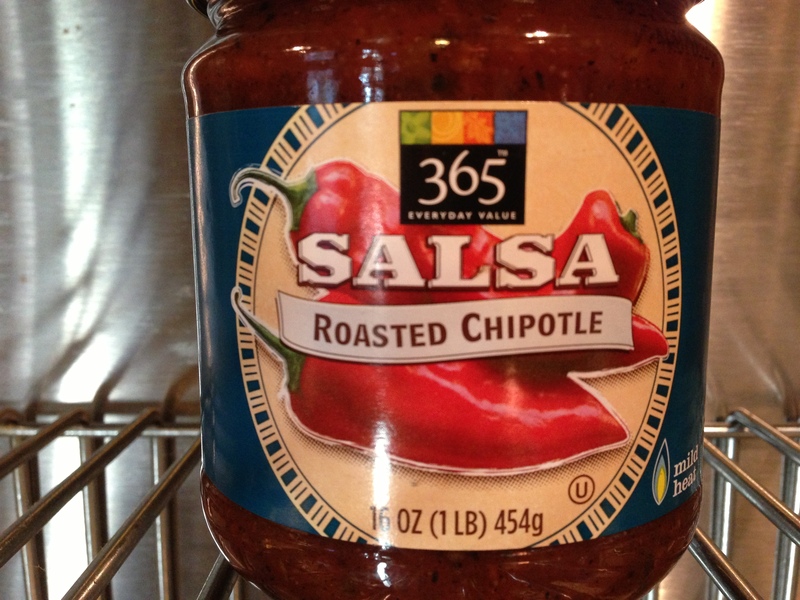 This is likely my favorite salsa of their selection, and better than any other salsa out there for chip-dipping. Smoky and spicy, this Roasted Chipotle Salsa is a great pre-made product that you can serve to guests with tortilla chips, mix into regular enchilada sauces, or add to taco meat for a memorable flavor. Thin and crispy, great corn taste, and comes in salted or unsalted. 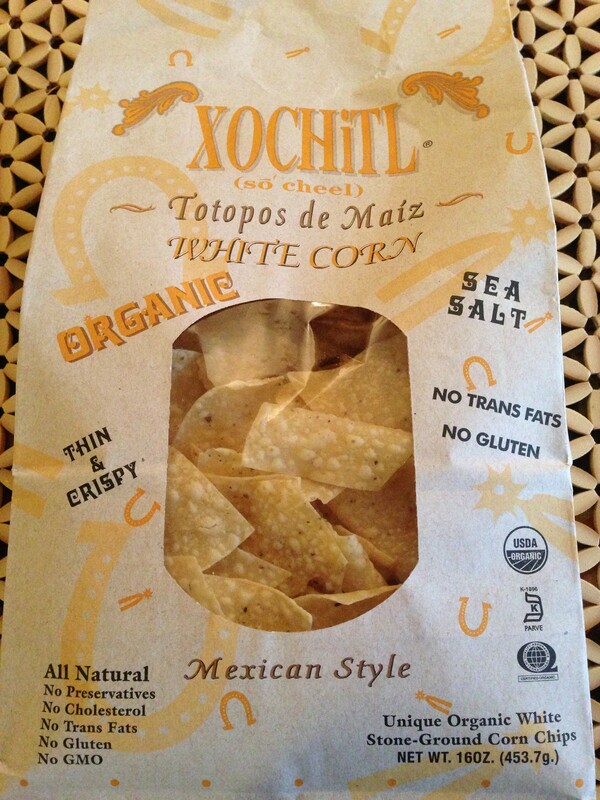 I buy mine at Whole Foods Market but you can find them in your area by looking here: Xochitl’s website. Xochitl offers a great selection of salsas to serve with their chips. 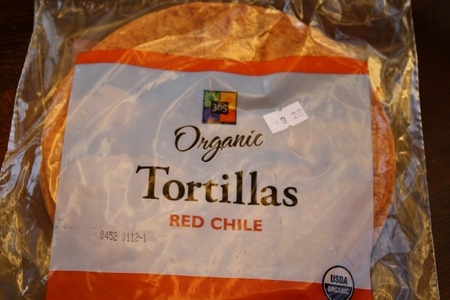 For a spicy kick to your burritos, enchiladas, and wraps, try Whole Foods Market’s red chile flour tortillas. You might not even need any additional hot sauce on your meal when using these wonderful tortillas. And the gorgeous red-orange hue is a visual bonus to any meal. 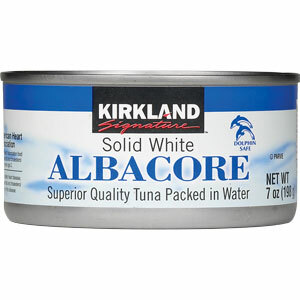 I used to be a StarKist tuna fan until my local Costco was out of it, and I decided to try Costco’s Kirkland brand. Super high quality tuna packed in water that’s flavorful and not tinny or metallic-tasting. I’m a fan! Mix with some Hellmanns mayo and some sweet pickle relish or minced onion and you’ve got a flavor party as a topping for some wheat toast! Pick up a pack of tuna cans on your next Costco run! 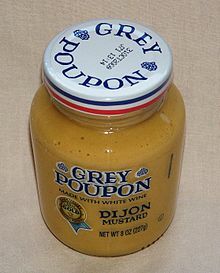 Everyone remembers the TV commercials for Grey Poupon in the 80s and 90s — “Have you any Grey Poupon?” Those commercials hoisted a pretty good dijon mustard up into the “fancy” condiments world. Can’t remember when I haven’t had a jar of Grey Poupon in my fridge. Try the Grey Poupon country mustard in your next salad dressing or on your next sandwich. It’s available in your grocer’s condiments department. 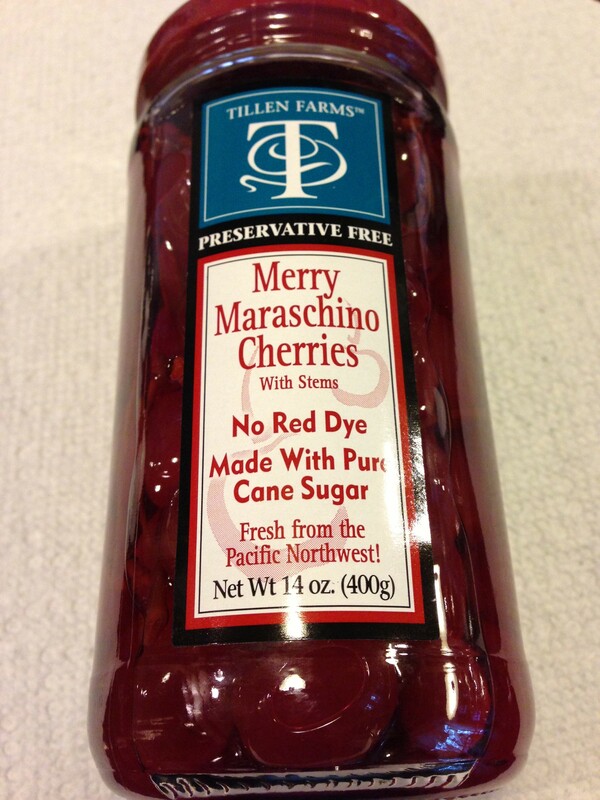 Tillen Farms Merry Maraschino Cherries don’t use harmful red dyes. They’re pretty red cherries that are sweet and add a deep red color to your recipes and beverages. The regular neon red maraschino cherries just look unnatural to me. Other than great cherries, Tillen Farms is known for their crispy preserved vegetables that make nice garnishes and taste good, too! Look for Tillen Farms cherries at your local grocer. 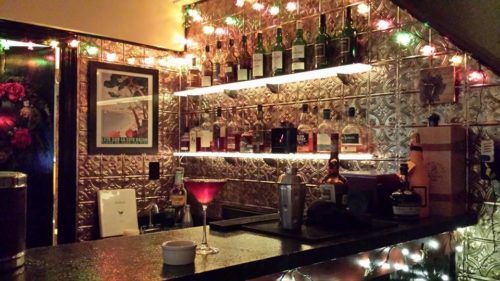 They’re sometimes located in the wine/liquor section along with cocktail onions and beverage mixers. Tillen Farms also makes Tickled Pink cherries (a pretty hot pink color), yellow Reserve Rainier cherries, and dark red Bada Bing cherries. 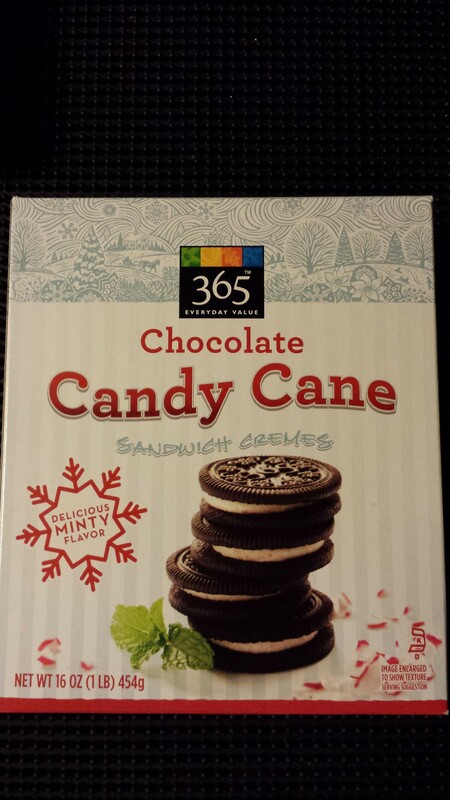 These Chocolate Candy Cane Cookies were available this year at Whole Foods Markets throughout the winter holiday season. I sure hope that they are available next year! Like the traditional Oreo cookies, Whole Foods Market takes an Oreo-like chocolate sandwich cookie and fills it with a sweet minty creme chock full of crushed candy cane pieces. A refreshing taste to a unique cookie. And the ingredient list is a bit healthier, too. I’m sorry I didn’t buy a few more boxes! 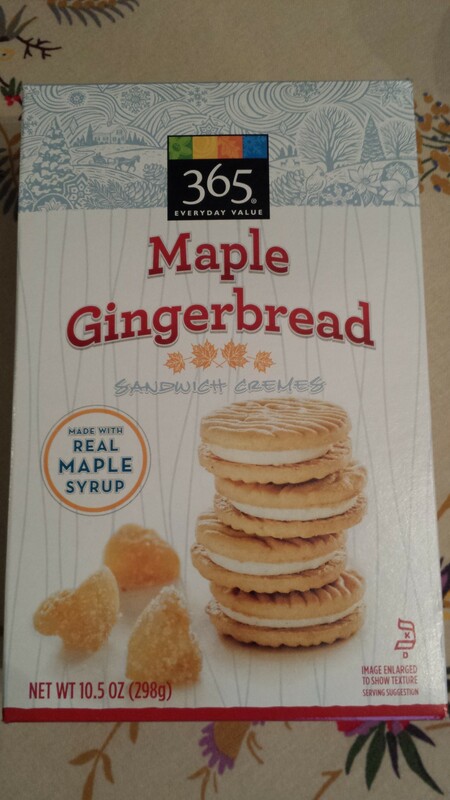 If you love gingerbread like I do, you will love these Whole Foods Market 365 Brand Maple Gingerbread Cookies. It seems that they are just a seasonal offering during the winter holidays. The taste is similar to the Carrs Ginger Lemon Creme Cookies but with a tasty maple creme filling sandwiched between ginger-flavored cookies. The Whole Foods Market 365 Brand is their house brand and very competitive in product and price with other store brands. If I’m not making my own organic strawberry jam, my absolute favorite store-bought strawberry jam is from Whole Foods Market. 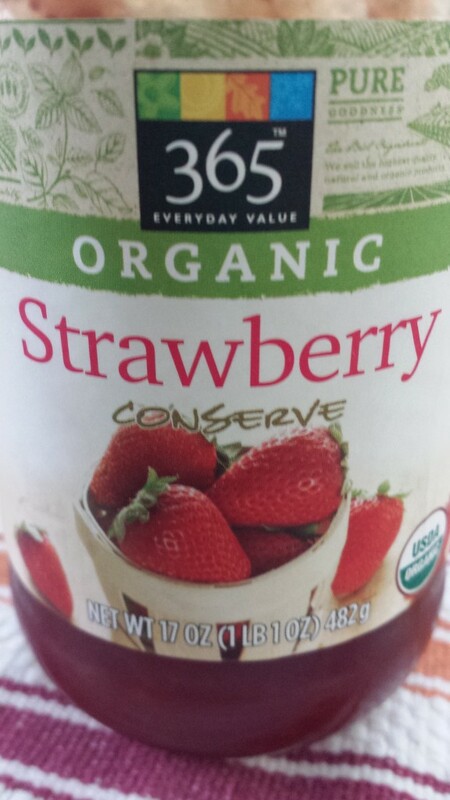 The Whole Foods Market 365 Brand Strawberry Conserve is sweet, red and berry-licious. It tastes fresh and keeps in the fridge for a few months — if it lasts that long. Staying on my “Eating Healthier” bandwagon, Whole Foods Market’s Super Grains are at the top of my list of good things to keep in the pantry. 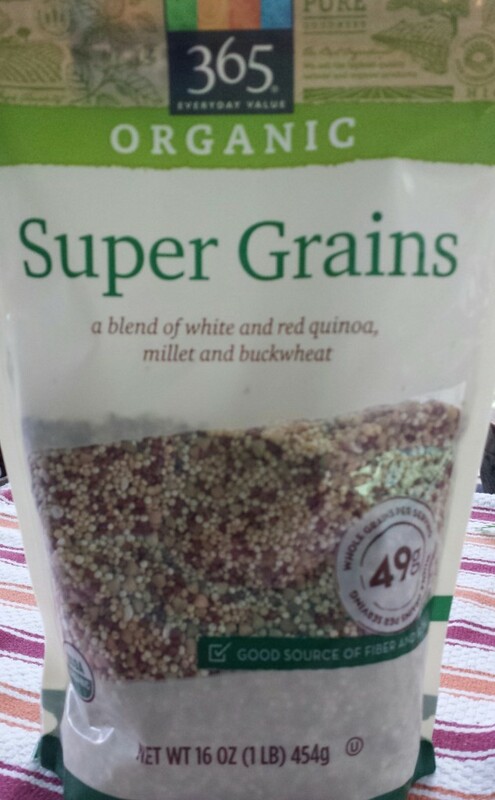 This Super Grains blend of white and red quinoa, millet, and buckwheat sounds like it might appeal to your bird friends. I like to use it as I’d use regular quinoa. Try Super Grains in a chilled salad such as my Healthy Quinoa Salad with Salmon, Cucumber, Cranberries and Walnuts or just cook it with some vegetable broth and butter as a side dish to chicken or fish. 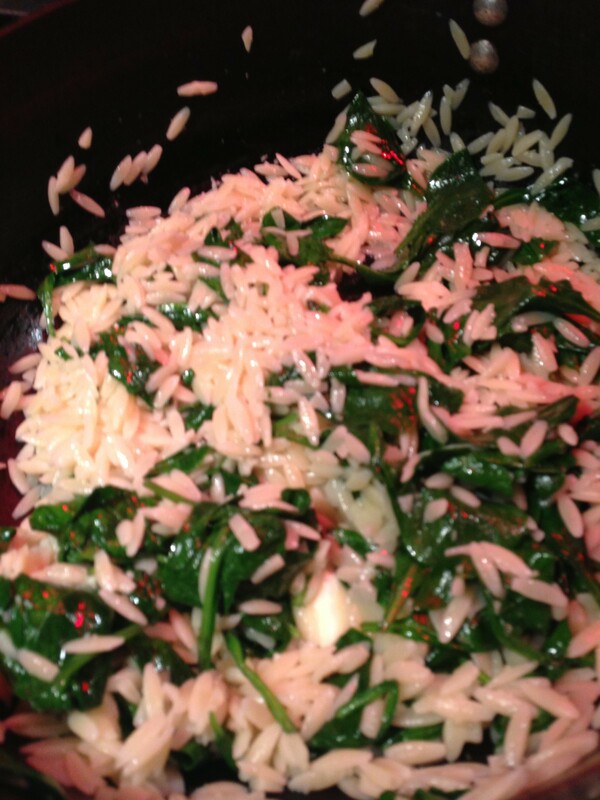 Hope you enjoyed my list of favorite food products. Leave a comment with a list of yours!